NYC Public School Parents: NYC HS Success in Intel STS Continues Its Post-2002 "De-Klein"
NYC HS Success in Intel STS Continues Its Post-2002 "De-Klein"
One of the more disturbing educational trends in NYC public schools under Bloomberg/Klein has been the precipitous “de-Klein” in the city’s success in the Intel Science Talent Search (STS), the high school science fair equivalent of the World Cup. Last week’s announcement by STS of its three hundred 2010/2011 Semifinalists brought the unhappy news that NYC public schools’ share of that winners’ pool had shrunk yet again, this year to a dispiriting, all-time low of just fourteen students representing a mere three schools: eight from Bronx Science, five from Stuyvesant, and one from Townsend Harris. The table below illustrates clearly this post-2002, downward trend (click on the graph to enlarge it). 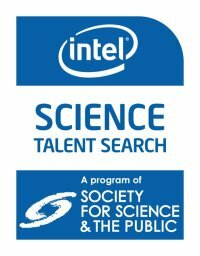 Founded as the Westinghouse STS in 1941, this national science competition was for decades so outrageously “owned” by NYC public schools that local schools like Cardozo, Midwood, and Francis Lewis could each routinely rake in double-figure counts among the STS’s annual 300 Semifinalists. As recently as 1988, the NY Times could headline its story, “122 New Yorkers Are Chosen in Science Talent Search.” That wasn’t 122 NY State students; that was 122 NYC students! In addition to Stuyvesant (47 Semifinalists) and Bronx Science (20), city high schools represented in the 1988 winner’s circle included Cardozo (11), Francis Lewis (6), Erasmus Hall (2), and James Madison (2), Aviation, John Adams, Grover Cleveland, John F. Kennedy, W.C. Bryant, LaGuardia H.s. of Music and Art, and Herbert H. Lehman (1 each). Although high schools around the U.S. gradually caught up, a relatively stable pattern had established itself by the late 1990s; in the six years from 1997 to 2002, NYC public schools still averaged 46 Semifinalists annually. However, in the eight Klein-led years 2003 to 2010, that number suddenly dropped drastically, averaging just 22 for the entire period. In the most four years 2007 – 2010, as the full fruits of the mayoral control era are now being reaped by the latest generation of high schoolers educated under Klein’s leadership, that average has plummeted to just 18. During those same periods, the number of public high schools represented each year by Semifinalists dropped from nine (1997 – 2002) to about 5.5 (2003 – 2010), and to just over four in the most recent four years. What HAS changed is the participation levels of NYC schools and students, as shown in the accompanying table. Data from Intel STS recently made available to me by the NY Post’s Yoav Gonen tells that story in unmistakable terms. 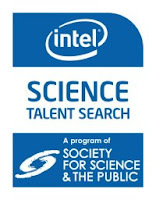 From 1997 through 2002, NYC public schools averaged 424 Intel STS student submissions annually. From 2003 through 2010, that number dropped to 364, and in the past four years (2007 – 2010) just 277 per year, a startling drop of almost 35% from the pre-Bloomberg/Klein years. What also HAS changed is NYC students’ success rate among those who participated, as shown in the accompanying table. While Stuyvesant and Bronx Science have nearly maintained their pre-2002 success rate (12% of their combined project submitters became Semifinalists in 2007-2010, compared to 14% from 1997-2002), the city as a whole has tumbled from a 10.8% (1997 – 2002) average success rate in projects being selected as Semifinalists to 6.6% in the most recent four years. Thus, it appears that NYC public schools are not only submitting fewer projects, but those entered are being judged of somewhat lesser merit. This collapse in city students’ involvement and overall success rate corresponds indisputably with the advent of mayoral control and the accession to the schools’ chancellorship position by Joel Klein. Could it be that the Klein-led, test-driven emphasis on the pre-high school NYS Math and ELA exams has minimized science instruction, or dumbed it down, or led students to believe it’s not interesting or important? Or could it be a budgetary issue, a lack of funding or facilities? Or that high school principals get no bonus or performance credit for such “extracurriculars” on their school report cards? Or that the types of senior teachers willing and able to organize school-level science research programs have left the system, or are no longer sufficiently incentivized, or are too distracted by the relentless emphasis on school report card metrics? Or that with all the new small schools, there are fewer schools with the resources to create and supervise research-driven science curricula? Why have schools whose students were formerly actively involved with Westinghouse/Intel simply disappeared from participation: Bayside, Cardozo, Fort Hamilton, John Dewey, Leon Goldstein, John Bowne, William Bryant, Newtown, Susan Wagner, Tottenville? Why have other elite, selective schools like Hunter HS, Brooklyn Tech, and Stuyvesant seen precipitous drops in the number of students participating? Why, under the Bloomberg/Klein/Black program to elevate NYC schools’ performance, have NYC public schools virtually fallen off the map of the nation’s premier science talent competition? Once the mecca of high school science achievement, NYC public schools are now a mere shell of its former science fair self. Under mayoral control, the fall has been devastating, and given Cathie Black’s background, a turnaround seems unlikely. Science education, especially at the elite performance level, will likely just continue to be one of those unfortunate “Sophie’s choice” victims. I wonder if the editorial staffs of the Daily News, New York Post, or New York Times have an answer for this decline? thanks Steve, the charts make the unfortunate trend really clear! Excellent points, well-delivered and providing the satisfaction of seeing Bloomberg and Klein hoist on their own petards. This is a legitimate use of data, showing the effect on students of a regime that simultaneously pursues high-stakes testing along with systemic fragmentation and destabilization. - The post makes an important point by showing the collapse of semi-finalists from other than hyper-elite schools, a clear demonstration of the toll this administration is having on the broad, general swath of NYC high schools. The social vandalism of City Hall and Tweed is demonstrated by the fact that the DOE is dismantling schools such as Cleveland and Adams, which produced semi-finalists in the recent past, and which have been stable institutions in their communites for decades. - An eighteen year-old high school senior who has come up through the NYC public schools has spent eight of their eleven- year school career under Michael Bloomberg and Joel Klein. Add tot his the scandal of the politically-gamed 4th and 8th grade exams, and what does it say about these people's stewardship of the system, even on their own myopic terms? Really good article. I wonder: do you have any idea where the winning students in the science talent search attended middle school? Did they come up through the citywide or strong district schools, i.e. Twain, NEST, Lab, Christa McCauliffe? Did any come through gen-ed programs? What I am wondering is if the quality of middle school science education, outside of a very few elite schools, has fallen off to the point that it's no longer possible for any except the very brightest to catch up, even if they are admitted to the selective high schools. I would love to be wrong about this. We have one teacher in our school who has taught this curriuculum through a full cycle and likes it, but without any PD since it was introduced it has not been easy. MIddle school science is a do it yourself endeavor that takes creativity and energy given that long ago any lab support was lost, if your school even has a lab or significant equipment. This means Middle school science relies on way to much desk work and far too little lab work. Our honors program sends the same number of motivated students to Stuy, Bronx Science and the other Spec HS's as we did in the late 90's. One of our students was national finalist from Stuy last year, but there are forces at work that are driving students at the elite public school away from participating in Intel. It would be worth while study for someone to query current HS students about why they are not participating and get to a better understanding of the decline. Money, lack of student interest, middle school decline, DOE/Tweed indifference. Stop the school closings rally! Leaked DOE memo: "Everyone is not alike"
Rally on despite the snow! Stop School closings and charter takeovers! Who's striking out and who's sliding home?